Instant Pot Creamy Parmesan Garlic Mushroom Chicken is a decadent weeknight meal. 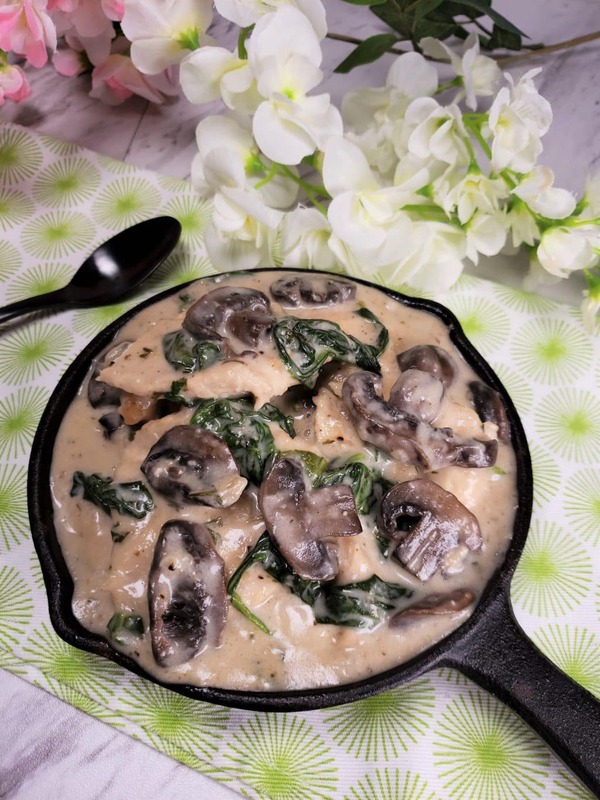 Tender chicken swimming in a rich and creamy garlic sauce with sauteed mushrooms and spinach. Fancy enough for a formal dinner party! 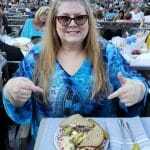 Low Carb and Keto too! My new Instant Pot Creamy Parmesan Garlic Mushroom Chicken is another rich and creamy decadent weeknight meal, which is also fancy enough for your most formal dinner party. Tender chicken swimming in a rich and creamy garlic sauce with sauteed mushrooms and spinach will have you shouting from the roof tops. This recipe is based on my Pressure Cooker Tuscan Garlic Chicken, which has been going viral for over two years. 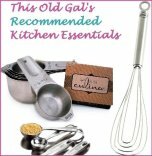 So, if you enjoy that recipe, you will love this recipe too. The creamy garlic sauce is nice and thick! 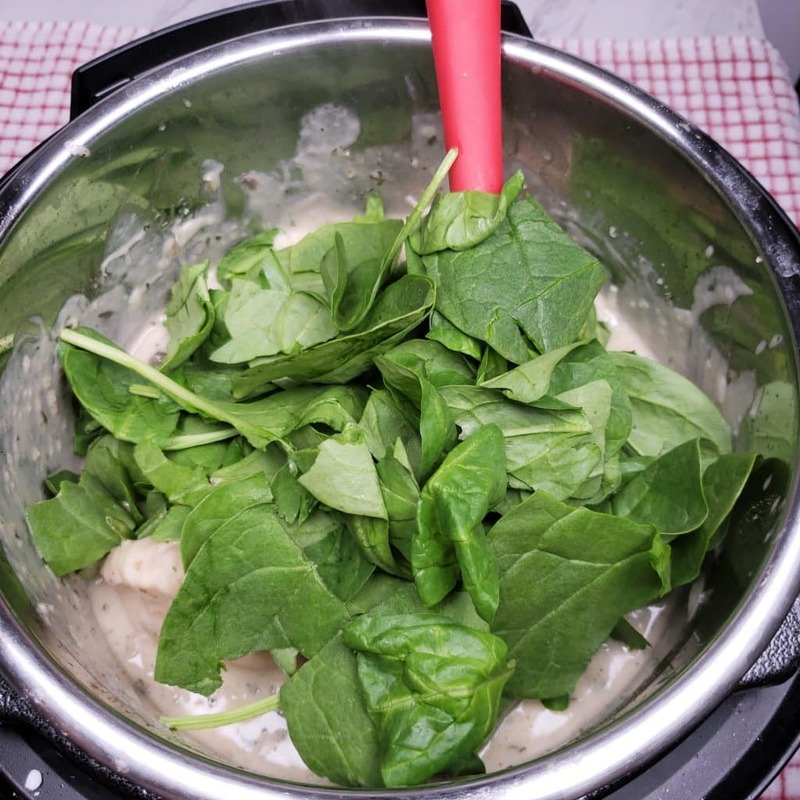 My Instant Pot Creamy Tuscan Chicken just happens to be naturally low carb and keto, so, I wrote this recipe with a low carb option! 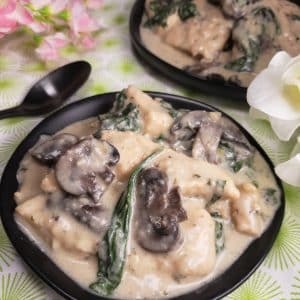 Ingredients for Instant Pot Creamy Parmesan Garlic Mushroom Chicken? Lots of Fresh Garlic- the more the merrier. That’s a lot of garlic, no? The more the merrier, use as much as you like. In a nutshell, they are basically baby portobello mushrooms. The portobello mushrooms are a much larger and more mature version of a button mushroom. The cremini mushrooms are also more mature than the button, but not near as large as the portobello. They are browner in color with a firmer texture. Their flavor is more woodsy than the button, which I find very bland. All three types are part of the Agaricus Bisporus species. 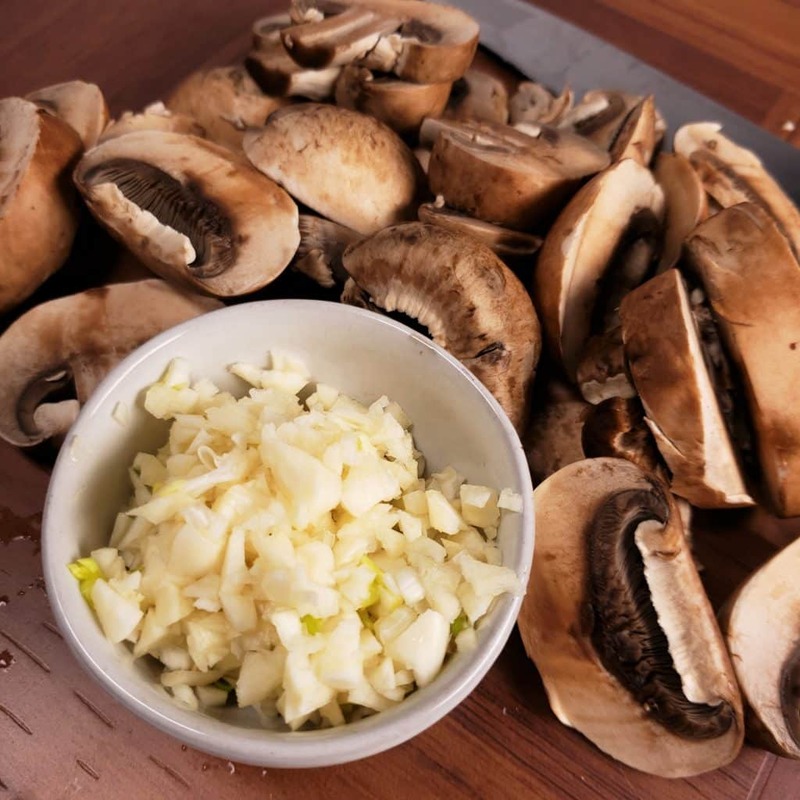 Essentially, cremini mushrooms are simply the browner, older version of a white button mushroom. My Creamy Garlic Sauce is fantastic. Grab a glass measuring cup and add all the ingredients and whisk them together. This recipe goes quickly, so having all the prep work done is a good idea. Keep the Creamy Garlic Sauce in the fridge until you are ready to use. Chicken can be tricky and can turn out rubbery and tough. Potato starch will help to lock in the juices and keep the chicken tender. In Asian cooking, potato starch has been used for years and years in their recipes, especially for coating meat and then deep frying. This makes for a very crunchy fried or orange chicken, for example. In my opinion, using flour in an Instant Pot, Mealthy MultiPot or Pressure Cooker is not the best option, as it can leave an uncooked taste. Plus, it is a pain to make a slurry at the end. Plus I really don’t like making starch or flour slurries, do you? 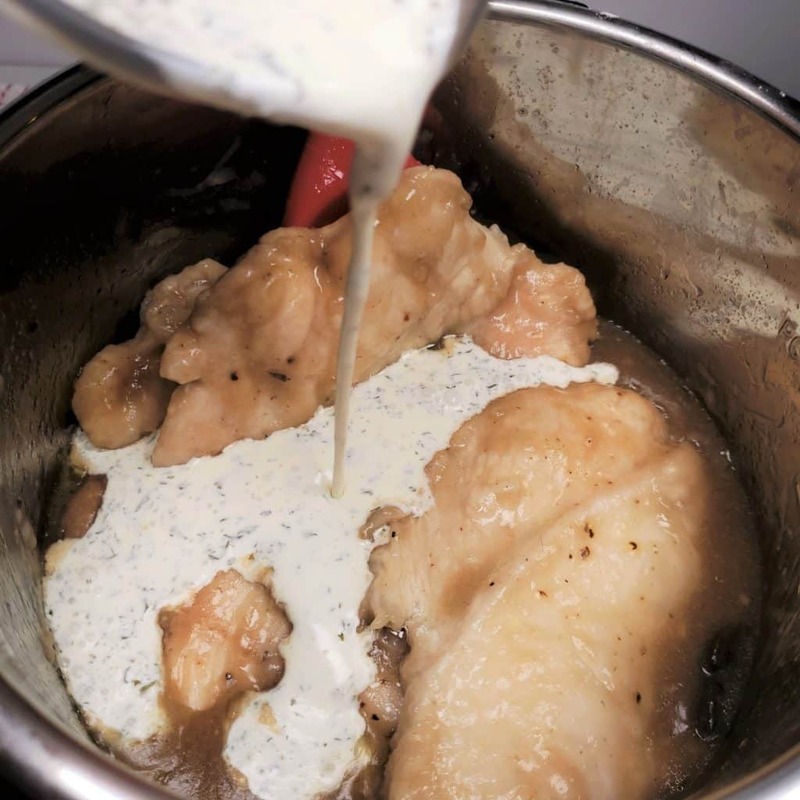 My “propriety method” is a 2-in-1 process, which keeps the chicken (or other type of meat) juicy and tender and eliminates the need for a slurry, when cooking under pressure. I’ll call this my Starch Protection Method (“SPM”), just for fun. You can see this method through my blog. Low Carb and Keto diets can eliminate this step or use coconut flour instead of potato starch! 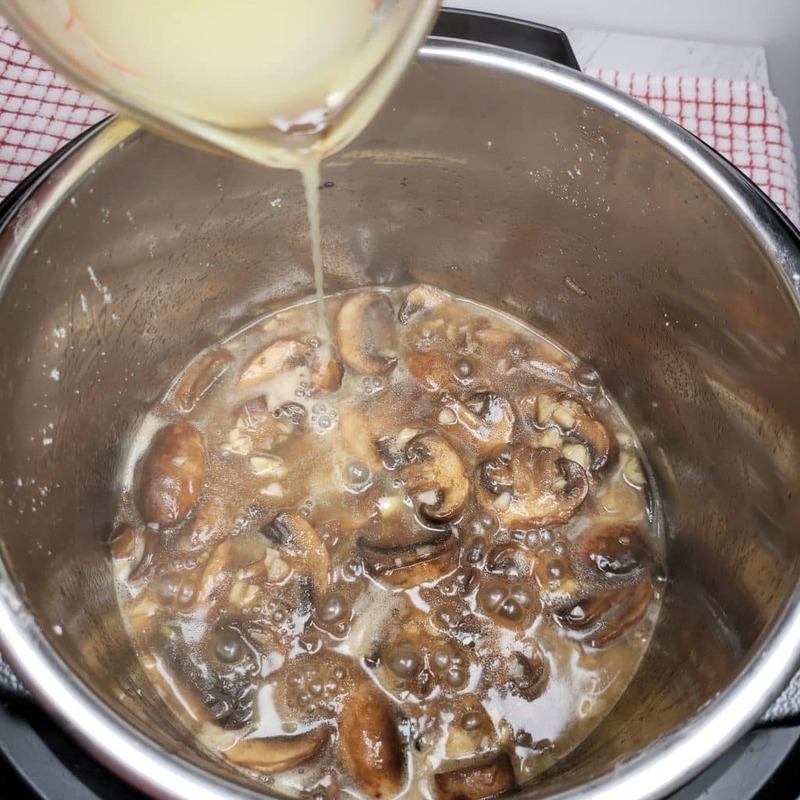 In my Instant Pot Beef Stroganoff recipe, which uses beef, you will see how the SPM will keep the beef juicy and make a yummy thick cream sauce. 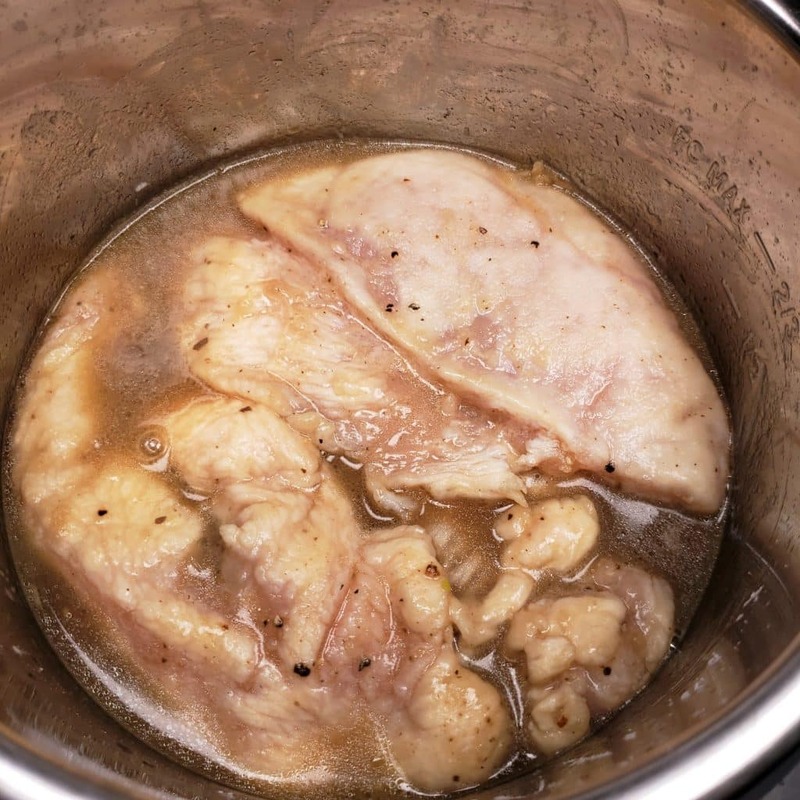 So, while your Instant Pot, Mealthy MultiPot or Pressure Cooker is heating up, prepare the Chicken for cooking. Use a sharp knife and slice though the chicken breast to make two pieces. It is as if you are butterflying the chicken, but go all the way through to make two pieces. Once the Instant Pot, Mealthy MultiPot or Pressure Cooker has been preheated, you can begin the cooking process. Only using a small amount of extra virgin olive oil and rich butter, the chicken gets a very quick sauté. Seriously, just enough for the potato starch or coconut flour to stick, like 3-5 seconds a side. 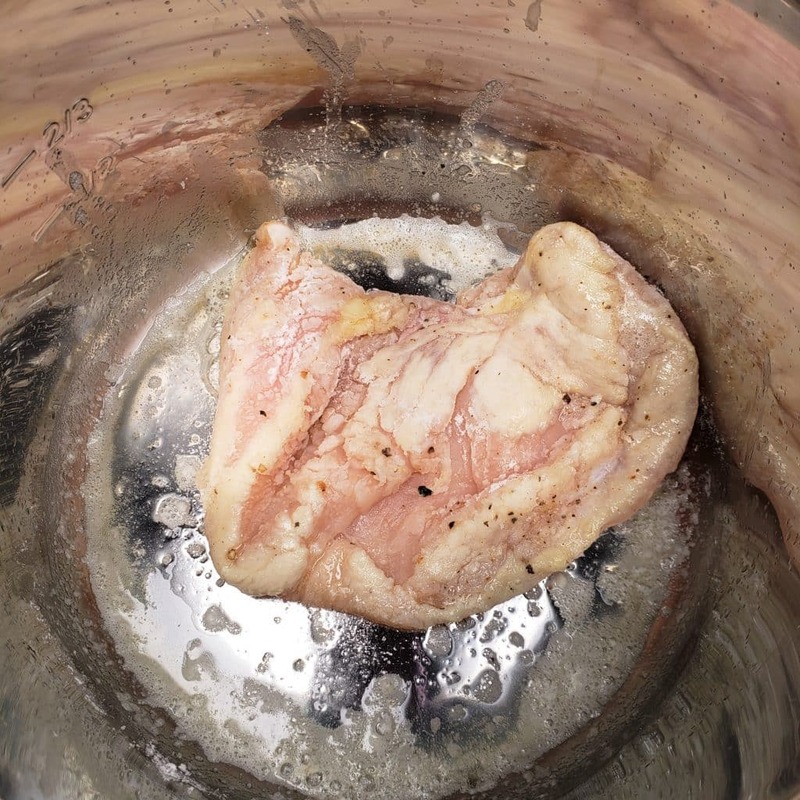 The photo above shows the third piece of chicken I seared, so you can see not much starch gets stuck to the bottom of the pot. There will still be enough fond for great flavor and, the pot will easily come to pressure. But, we are going to deglaze anyway. Plus, the chicken will have Starch Protection! 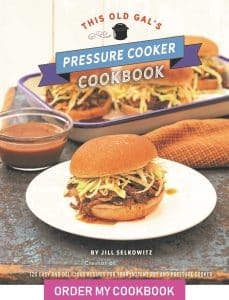 Darn, I wish I thought of that term before I submitted my recipes for my cookbook, This Old Gal’s Pressure Cooker Cookbook. It would have been a nice term to use in my book. 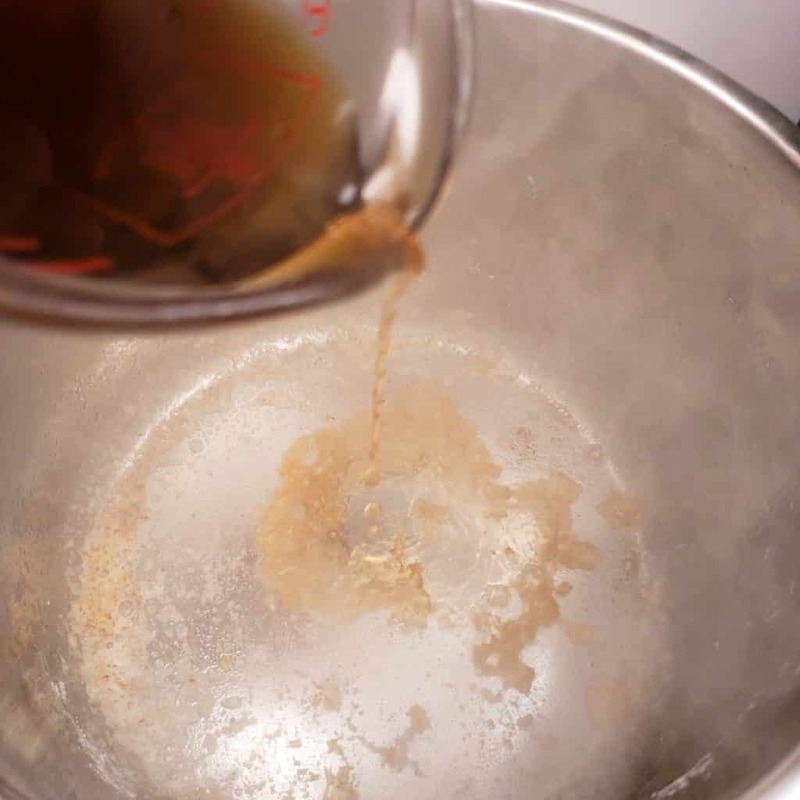 It is the act of using liquid in a hot pot to remove anything stuck on the bottom of the pot. The liquid poured into a hot pot will create steam and help to lift the fond from the bottom of the pot. The fond is essential in adding more flavor to the overall recipe. As the liquid heats up, grab a firm, high heat spatula and scrape the bottom of the pot, until nothing is stuck. Why Deglaze with Sherry or Wine? Sherry and Wine add a fabulous flavor to the fond. If your recipe is good, it will be great if you use Sherry or Wine. Sherry (for drinking) can be expensive, so Shaoxing Wine works just as well. The difference is so minimal, it’s really not even worth discussion. So, use a good drinking Sherry or Shaoxing Wine to deglaze. 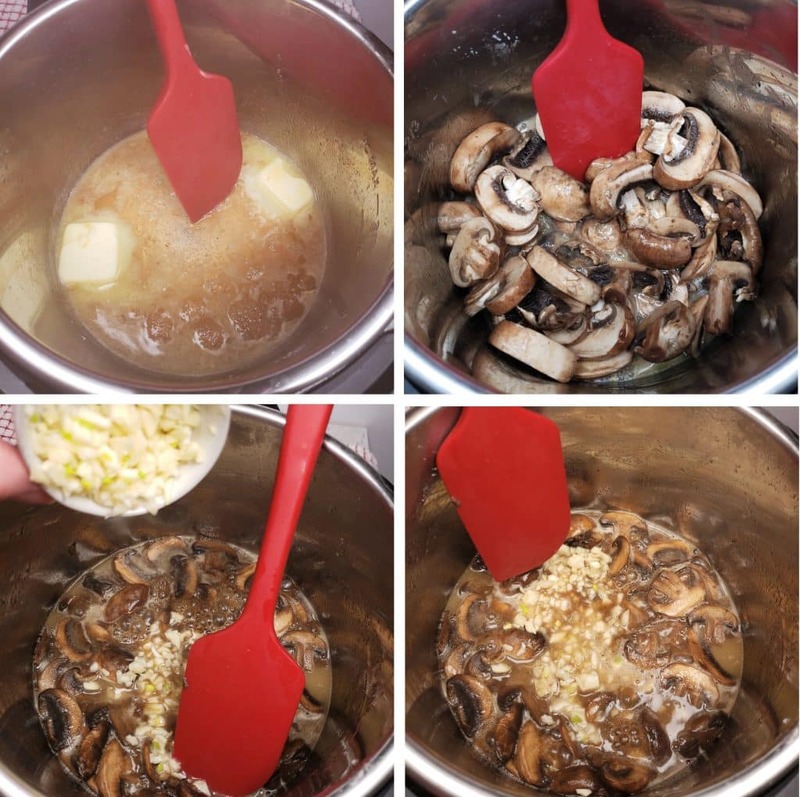 There is nothing better than cooking Mushrooms in Sherry or Shaoxing and butter. Well, maybe onions and garlic too! 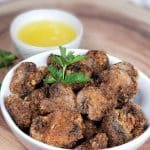 The flavor it adds to this Instant Pot Creamy Parmesan Garlic Mushroom Chicken recipe, as well as others, is incredible. My Pressure Cooker Homemade Chicken Broth is awesome in this recipe. If you don’t have any on hand, try using some Better than Bouillon Chicken Base, mixed with fresh water. I keep a big jar in my refrigerator for emergencies. The instructions say one teaspoon per cup of water, but I usually do 1.5 teaspoons per cup of water. There is a lot of liquid in the pot. Don’t worry that it will be too much. The chicken will release more liquid. But, it is a good thing. When you open the pot after pressure cooking, the liquid will be thicker than it is now! You can see the liquid in the pot is already a bit thick and not runny at all. This cream sauce is so delicious. If you want to make a stand alone Cream Sauce to use it in other recipes, add potato starch and butter to it and whisk. 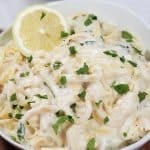 What Ingredients are in the Creamy Garlic Sauce? Remember, earlier we used the butter to sear the potato starch coated chicken and then cook the shrooms? Those two ingredients would complete the above list for the stand alone creamy garlic sauce. Can you see the thickness? 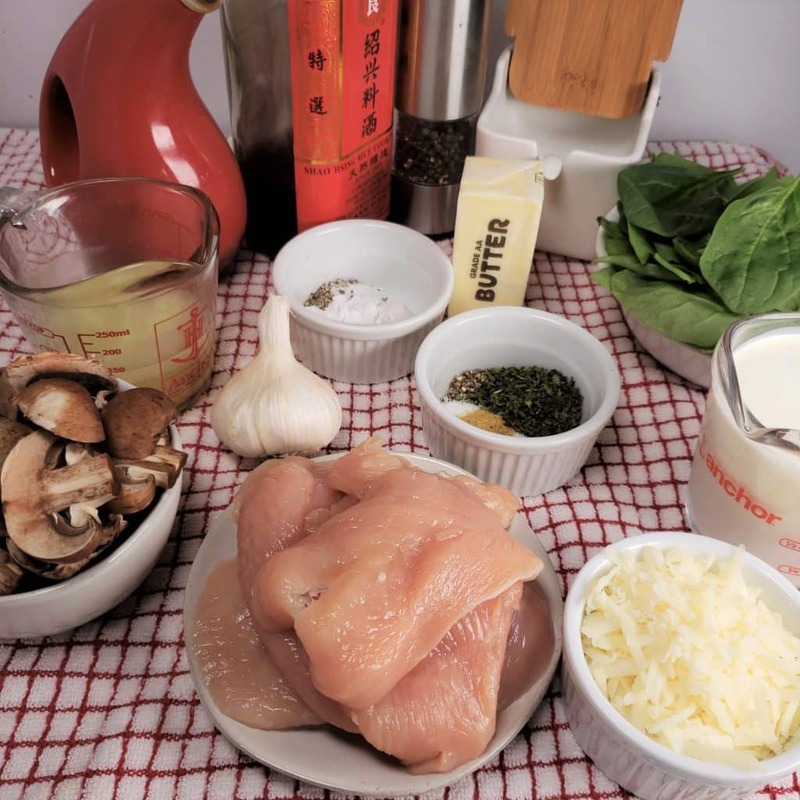 I heard your comments about wanting a thicker sauce in my Pressure Cooker Creamy Tuscan Garlic Chicken recipe. I also heard you say you wanted more sauce as you loved my sauce so much. 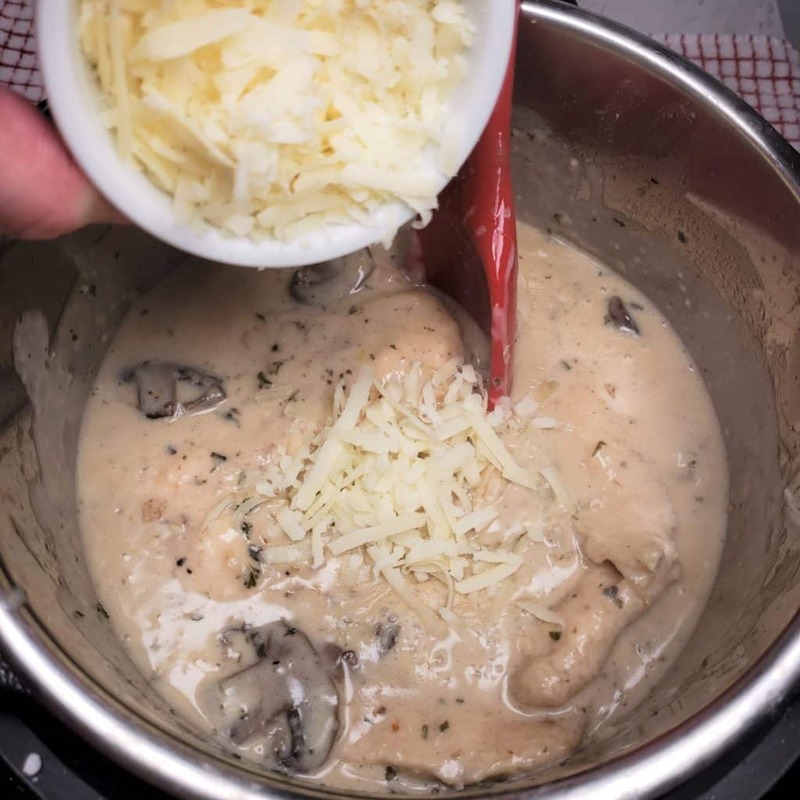 You will have plenty of sauce in this Instant Pot Creamy Parmesan Garlic Chicken Mushroom recipe. We had enough sauce leftover to make a meal of just shells and sauce and there was still sauce left! We are just two people, so there was enough sauce leftover to serve four people with shells and sauce. Let me tell you, it was even better the next night. No need to add cream cheese or anything else. Do yourself a favor. Buy a block of Parmesan or Asiago cheese and use a grater to grate it yourself. The packaged pre-shredded cheese is kind of flavorless and coated in something to keep it from sticking. Fresh Spinach finishes off the recipe. I used two cups, maybe more, I just kept adding and adding. Feel free to use as little or as much as you like! 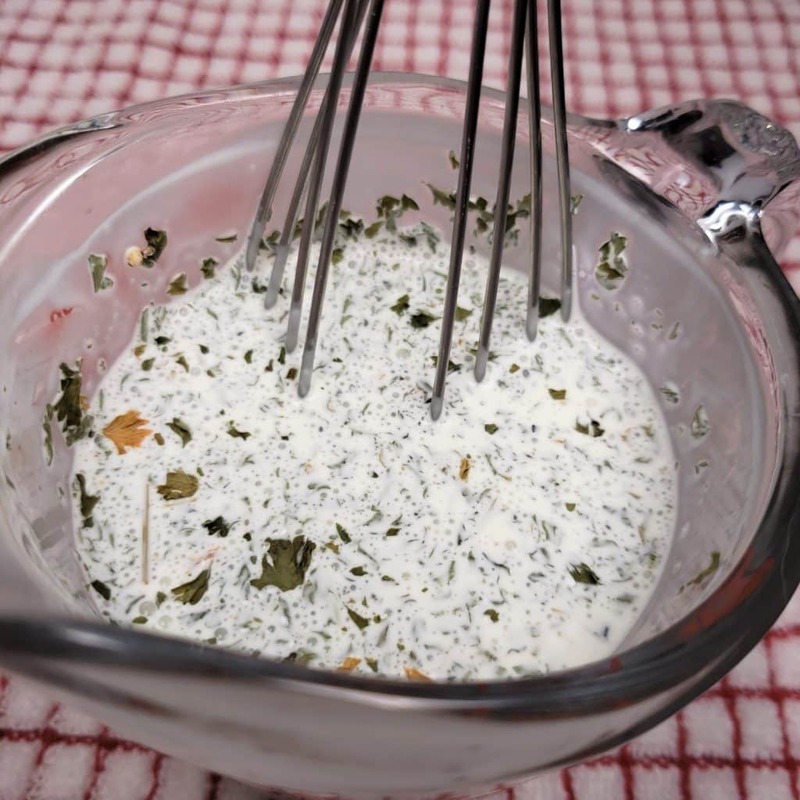 Whisk together heavy cream, parsley, garlic, salt and pepper and set aside in the refrigerator. 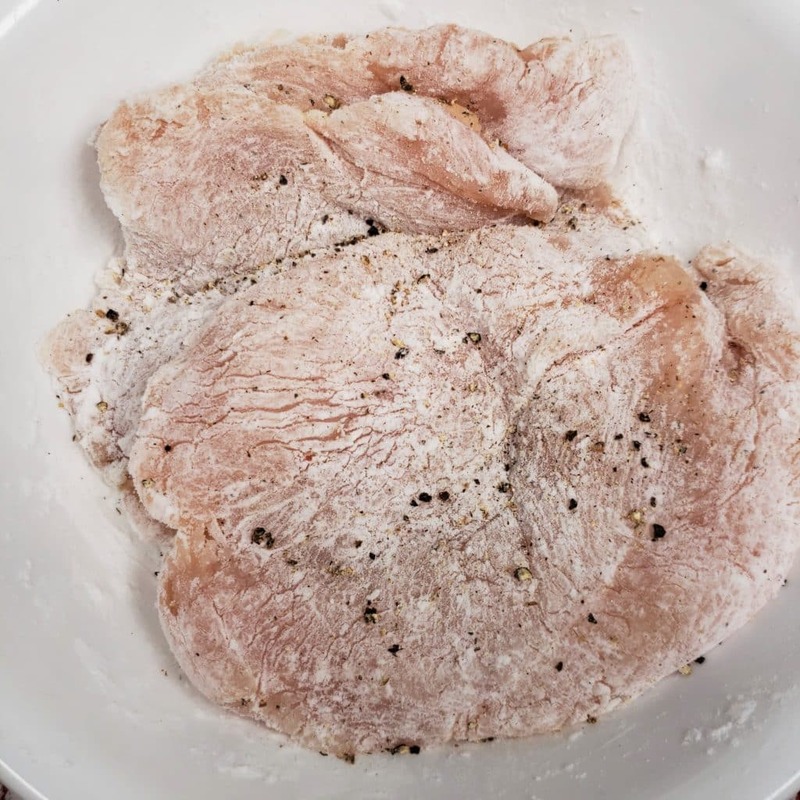 Slice chicken breasts through the length of the chicken (like you are butterflying, but cut all the way through) and place into a medium mixing bowl. Add potato starch (or Coconut Flour), salt and pepper to chicken and mix through. Chicken should be completely coated with the starch (use it all). Select Sauté or Browning on your Pressure Cooker and allow to heat. When hot, add oil and 2 Tablespoons of butter into Pressure Cooker cooking pot. Place the Chicken into cooking pot, one piece at a time and sear for 5 seconds on each side, removing each piece to a plate. You just want the starch to stick, not cook the chicken. Deglaze the cooking pot with half the Shaoxing or Sherry and then add in mushrooms, the rest of the butter and Shaozing and cook for 6 minutes. Add garlic and cook for another minute. Add the chicken broth and return chicken (w/any excess potato starch) to the pot. Lock on Lid and close pressure valve. Cook at high pressure for 3 minutes. When beep sounds, push Cancel and carefully do a controlled quick release to release all the pressure. Select Sauté/Browning on pressure cooker. Add cream sauce and simmer until bubbly, about 5 minutes. Mix in the cheese and when melted, add spinach and stir until wilted. If you skip the Shaoxing Wine or the Dry Sherry, you will lose out on a lot of flavor. What to Eat with Creamy Parmesan Garlic Mushroom Chicken. 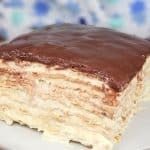 I found another similar recipe which I made last week. Like to try this one as I have most of the ingredients.. Could I sub white wine? We are teetotalers and I dont want to run out and buy a bottle. Someone gave us the wine not knowing. No point in wasting! 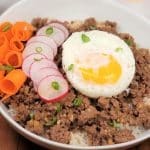 Can this recipe be doubled in a 6 qt Instant Pot? Thanks..
How many carbs for the creamy Parmesan garlic mushroom chicken? This looks amazing, but my chicken breasts are frozen. Any tips? Made this yesterday in my instapot with the almond flour coating (keto girl here!). It was great!! Sauce came out thin, but I’m used to that since I don’t use thickeners. Whole family loved it!! Very tasty! Using coconut flour made it a little gritty, but didn’t change the taste. This was WONDERFUL!! I only had chicken thighs and frozen spinach but followed everything else(besides letting it cook longer because of the thighs). I used coconut flour for the keto. It was soooo flavorful. Thank you for a great Instant Pot recipe! I thought your photos were great.